Club announces new team names for 2015. The chart below covers the names to be used going forward for the combintation of age, gender and Division of play for our teams. Our goal is to use names that are synonomous with the old west and yet are suitable for the culture of today and the growing concern for politically correct ideas. 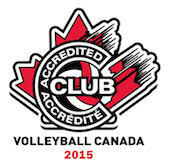 The club has tried to anticipate furure growth in participation and have allowed for the anticipated new 12u city wide program to introduce players to competitive volleyball prior to competing in OVA age group categories by forming a new city wide division for beginners. While the new assignments will possibly lead to players competing under the same name for more than one year. The idea of specific themes will help in understanding the age group that a team belongs to. With time we are sure these names will be second nature to our athletes and our opponents.